Petzl Carabiner, Am’D Lightweight asymmetric, Ball-Lock, 27kN Max. Carabiner, WILLIAM Ball-Lock, 27kN Max. 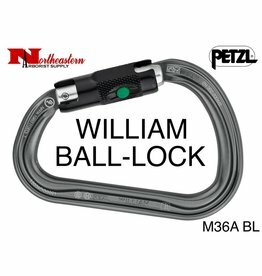 Petzl Carabiner, WILLIAM BALL-LOCK, 27kN Max.